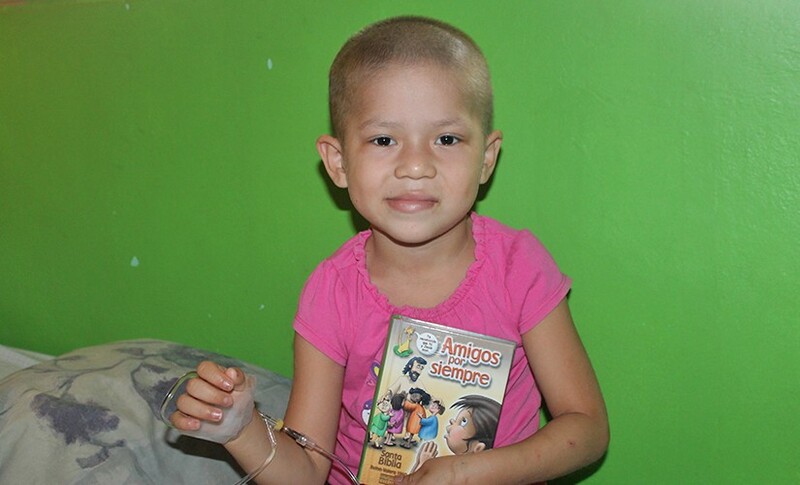 A Nicaraguan mother trusts God with her daughter’s cancer. Emelda’s* 6-year-old daughter Mirna* was very sick. Emelda was desperate for help. She and Mirna traveled from their town in the plains to get better care in Nicaragua’s capital. She’d never been to that part of her country before. “When we arrived at the hospital, we felt lonely,” she remembers. But when Emelda was told they needed to transfer her daughter from the emergency room to the children’s cancer wing, she was terrified. “I came to think I would not go out with my child alive.” The doctors diagnosed Mirna with leukemia. Emelda was brokenhearted. She didn’t know where to turn. But Emelda and Mirna were not alone. Because of faithful Bible Society partners, they had spiritual encouragement and support during their five-month stay at the hospital. Kind volunteers gave them a Bible and invited them to talk about God’s message of hope. Emelda and Mirna participated in devotionals taught by local pastors and volunteers. They learned that God was with them, even during the most difficult times, and that he could be trusted. As a result, a new hope birthed within Emelda. “In this situation, I have learned to depend on him," she says. Praise God —Mirna responded well to the cancer treatment. Once she became stable, she was cleared to return home. They looked forward to reuniting with their family and bringing the good news back home. 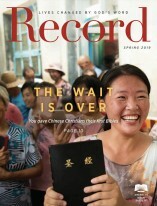 Thanks to the prayers and support of American Bible Society’s financial partners, God’s nurturing Word is bringing comfort and hope to people like Emelda and Mirna in their greatest time of need. “Without this Bible … I would walk the streets,” says young Katherine. Your prayers and support can bring hope today.